We open General Conference by welcoming Founder and President of Muslims for Progressive Values, artist and activist, person of vision and faith, Ani Zonneveld. What is Islam today, and what does that have to do with us, MCC? She will share how her journey of faith inspires us as we enter our historic General Conference in Victoria, British Columbia. A global, MCC panel will respond to her speech, and help us to take in its meanings for us. We will also have some time for questions and answers, and time to experience Ani’s gift as a songwriter and performer of original music . . . Don’t miss this inspirational moment! 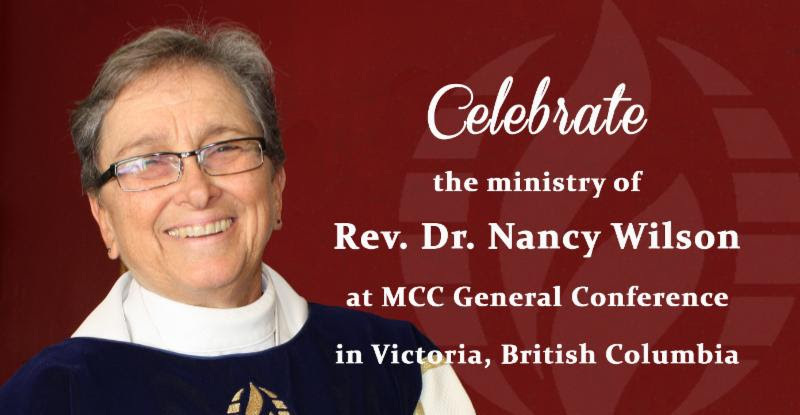 As long as we have been in MCC, most of us have known Nancy Wilson to be at its heart. After 10 years as our Moderator and 44 years in service to MCC over all, Rev. Elder Dr. ​Nancy Wilson is retiring. This is our moment at General Conference 2016 to ​say thank you and pay tribute to her ministry. Join us for a tapestry of music, song, stories, and well-wishes, woven together to celebrate Nancy into her next phase! Help us thank and honor her! Send us a short video of you saying, “Thank you, Nancy” in your native language. Send us a photo of you or your congregation etc. with a caption that says in 1-2 sentences the impact that Rev. Nancy has had on you. Additionally, consider place a business card size “thank you” or celebratory note for $25 in the program booklet. Submissions are due by 31 March 2016. Your stories, pictures, and recorded greetings will be woven into a presentation at General Conference that reflects the tapestry of people she has impacted. Take part — let us hear from you! Rev. Brent Hawkes, Pastor of MCC Toronto, will introduce the and grant the Human Rights award to Rainbow Railroad, a Canadian organization that partners with MCC Toronto, the Canadian government and other organizations to re-settle LGBT asylum seekers. Mariela Castro, an esteemed Cuban activists for the rights of LGBT persons, and those with HIV/AIDS, will address the General Conference. She is the daughter of President Raul Castro, and met our MCC delegation in Havana in May 2015. She will receive a Global Justice Institute award for her contribution to the cause of justice. She will be introduced by Rev. Elder Hector Gutierrez. We will hear more about the Global Justice Institute, be invited to their workshops at Conference, and learn how we can engage the mission and vision of GJI as churches and as individuals. At this General Conference, the Edith Allen Perry Award will be given to author, teacher and activist, Jennifer Finney Boylan. The award will be presented this year by Edith Allen Perry’s granddaughter, Cheryl Perry-Rowell the niece of Rev. Troy Perry, our Founder. Professor Boylan is the author of thirteen books, and is the inaugural Anna Quindlan Writer in Residence at Barnard College of Columbia University. 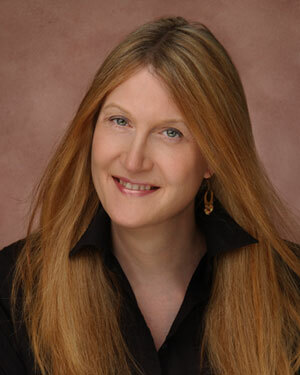 She is also the national co-chair of the Board of Directors of GLAAD, the media advocacy for LGBT people worldwide. We are especially grateful for Professor Boylan’s powerful advocacy, as an activist and as a parent, for LGBTQ youth who continue to be bullied and harassed. Her advocacy for civil and human rights would have made Edith Allen Perry proud!